by Andreas Otto Grimminger & Josef-Stefan Kindler. Esteemed friends of audiophile music, the concert grand piano is incontestably the king of instruments. I could now wax lyrical about its incomparable dynamics and go into its ability to go from the tenderest of sounds in a soft minor key to the magnificent power of a fortissimo, or I could rhapsodise about its impressive size and elegance. But what makes this instrument really fascinating is its individuality, since each one is unique in itself - created by a master. A concert grand has a life all of its own that a virtuoso can really "get into" and hence bring the work of the composer to life. 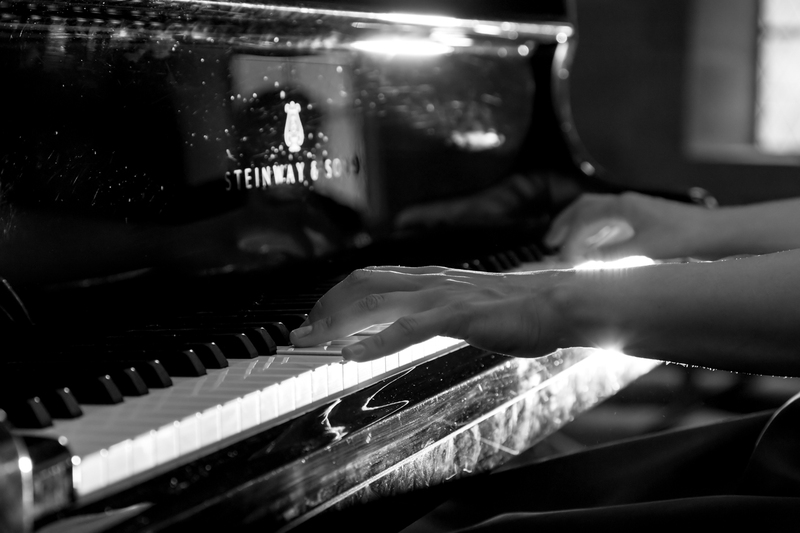 In our "Grand Piano Masters" series, we get into the character and soul of the concert grand piano and experience, during the performance itself, the dialogue between the instrument, the virtuoso and the performance space. Sensitivity, musical expression and a flawless, transparent technique: Aleksandra Mikulska embodies to the highest degree all of these qualities once demanded by Chopin himself. Teachers, critics, members of the jury as well as audiences all unanimously agree on this. For a long time now Aleksandra Mikulska has not only distinguished herself through her very own, extraordinarily genuine interpretation of Chopin, which won her the prestigious special award as best Polish female pianist at the International Frédéric Chopin Competition in Warsaw in 2005 and ensured an enthusiastic reception of her début Chopin CD in 2010. With her "passionate" and "enrapturing" performances of Haydn, Beethoven and Chopin, she presented audiences at the Lake Constance Festival in 2010 and 2011 with some of the "finest hours of piano music". Attending the class for gifted children at the Karol Szymanowski Music High School in Warsaw, gaining several promotion awards from the Polish government as well as winning prizes at international competitions laid the groundwork for the top-class international training of the young pianist. Even while still at grammar school, Aleksandra Mikulska was already being coached by Peter Eichler in Mannheim, and, after gaining her high-school diploma, she continued to study with him at the Karlsruhe Academy of Music. Parallel to her studies there, international masterclasses with Diane Andersen and Lev Natochenny amongst others provided further stimuli. After graduating with honours she moved to the piano academy "Accademia Pianistica incontri col maestro" in Imola, Italy, the land of music, where she was coached mainly by Lazar Berman and Michael Dalberto till 2008. From 2006 she also worked with Prof. Arie Vardi at the Hanover Academy of Music, where she gained her concert diploma in 2010. Aleksandra Mikulska unites the three musical traditions of Poland, Germany and Italy in a unique, personal and unmistakable style. 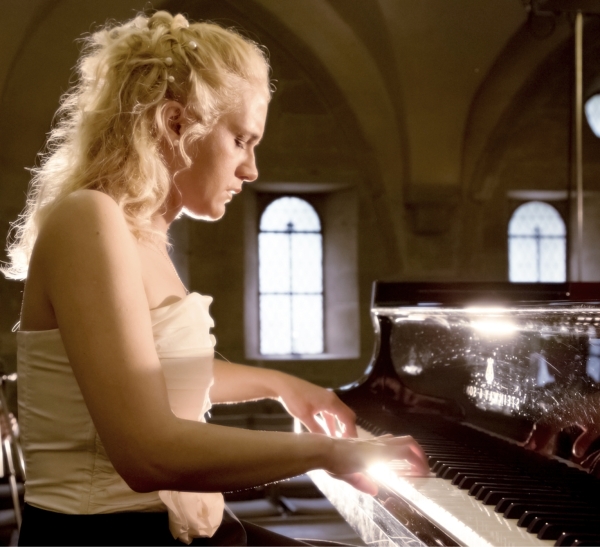 She is a frequent guest at international festivals such as the Lake Constance Festival, the Maulbronn Monastery Concerts, the piano cycle "Musik am Hochrhein" (Switzerland), the Merano Festival in Italy and the Lapland Piano Festival. Furthermore, she also gives solo recitals all over Europe and performs with orchestras in Germany, Italy and Belgium. One focus of her artistic efforts is the dissemination of music by the great composers of her native country. Aleksandra Mikulska is vice-president of the Chopin Society in the Federal Republic of Germany in Darmstadt and board member of the German-Polish Association of Baden-Württemberg. Furthermore, she is a member of the Karol Szymanowski Society in Zakopane (Poland) and has close ties with the music society De Musica in Warsaw and the German-Polish Cultural Society "Salonik". Her recording début in 2010 was devoted to the works of Frédéric Chopin. In the Autumn of 2011 Aleksandra Mikulska published her second CD with the title "Expressions" including works by Haydn, Szymanowski und Chopin. Both recordings enjoyed great popularity with audiences and the specialist press. Meanwhile she has presented her third album which includes Chopin's four ballades. Copyright by K&K Verlagsanstalt. View more at: The K&K Movie Channel. The Maulbronn Monastery Release Series: "Maulbronn Monastery Edition"
Publishing Authentic Classical Concerts entails for us capturing and recording for posterity outstanding performances and concerts. The performers, audience, opus and room enter into an intimate dialogue that in its form and expression, its atmosphere, is unique and unrepeatable. It is our aim, the philosophy of our house, to enable the listener to acutely experience every facet of this symbiosis, the intensity of the performance, so we record the concerts in direct 2-Track Stereo digital. The results are unparalleled interpretations of musical and literary works, simply - audiophile snapshots of permanent value. Flourishing culture, enthralling the audience and last but not least also you the listener, are the values we endeavor to document in our editions and series. The concerts in the UNESCO World Heritage Maulbronn Monastery supply the ideal conditions for our aspirations. It is, above all, the atmosphere of the romantic, candle-lit arches, the magic of the monastery in its unadulterated sublime presence and tranquillity that impresses itself upon the performers and audience of these concerts. Renowned soloists and ensembles from the international arena repeatedly welcome the opportunity to appear here - enjoying the unparalleled acoustic and architectural beauty of this World Heritage Site, providing exquisite performances of secular and sacred music, documented by us in our Maulbronn Monastery Edition.